Change needs to be fully embraced by your organisation. 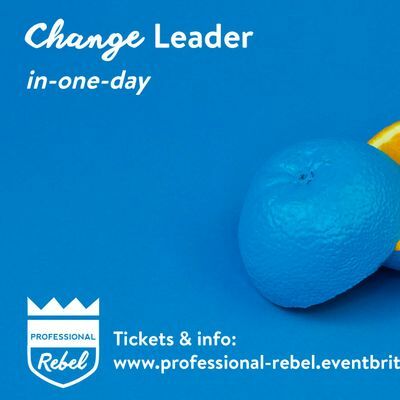 Attend this one day course and be the change leader your organisation needs. You will learn the essential tools, strategies and attitude you need to lead change within your organisation. Essential theoretical perspectives to understand and embrace change. 5 biggest obstacles for change. Skills, attitude and tools to deal with obstacles. Your personal Big Rebel Audacious Goal as a change leader. Your trainer is Melissa Marijnen:She has been a trainer over 10 years, and has coached and trained over 1000 people. Her speciality is to challenge her participants to think bigger. She believes people are capable to do more than they think. She loves empowering those who are stuck in obstructing thoughts, letting out that potential to create real and positive impact. 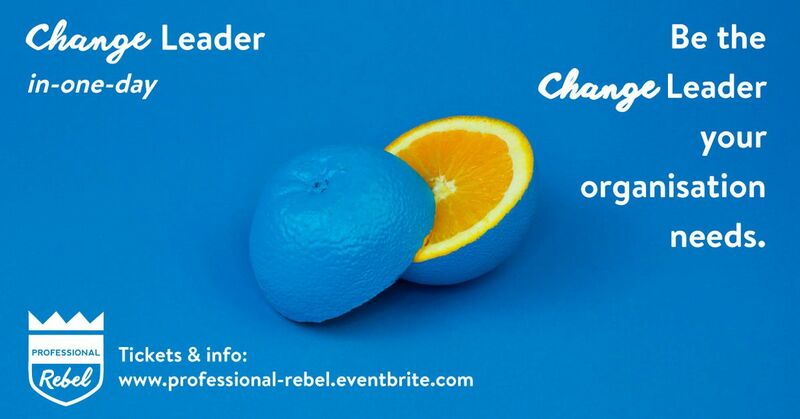 About Professional Rebel:We train leaders in large organisations to embrace change. These change leaders focus on changing the status-quo and are constantly improving business-as-usual. We’ve been doing this since 2012, based in Amsterdam, for companies like Young Capital, Eneco, Chamber of Commerce, PepsiCo, IBM, PWC and more. Our programs has been closed in-company programs, making this open course a special opportunity for individual employees to benefit from our expertise.